A standard resolution (size) for camera sensors, displays, photos, and videos. 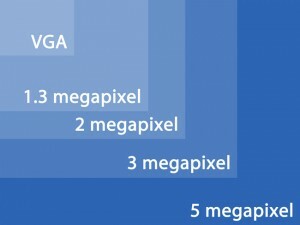 VGA size is 640 pixels wide by 480 pixels tall (or vice-versa in portrait orientation). For still photos, VGA is relatively small and low-resolution. For video, VGA is equivalent to standard-definition television.